We had a blast despite the searing sun at the North Sound Sergeantry Trials and Sable Rose Tournament. So much fun that we utterly failed to take any pictures. 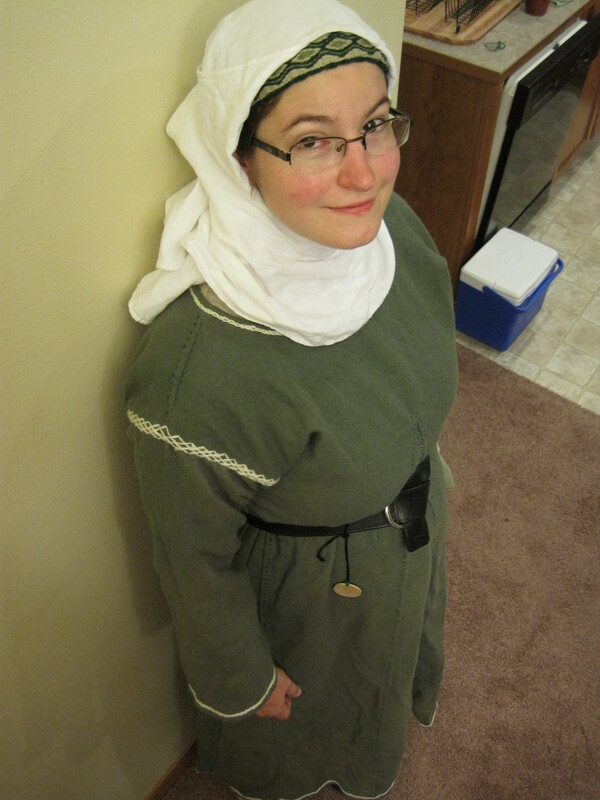 Here are some pictures of me in my new garb after the fact. 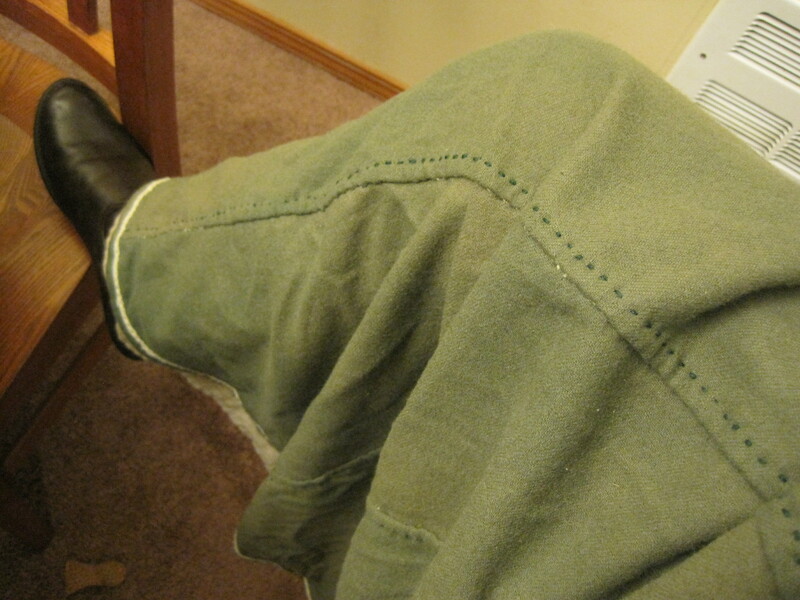 I finished the last of the eight long flat-felled seams in the car on the way to the event. 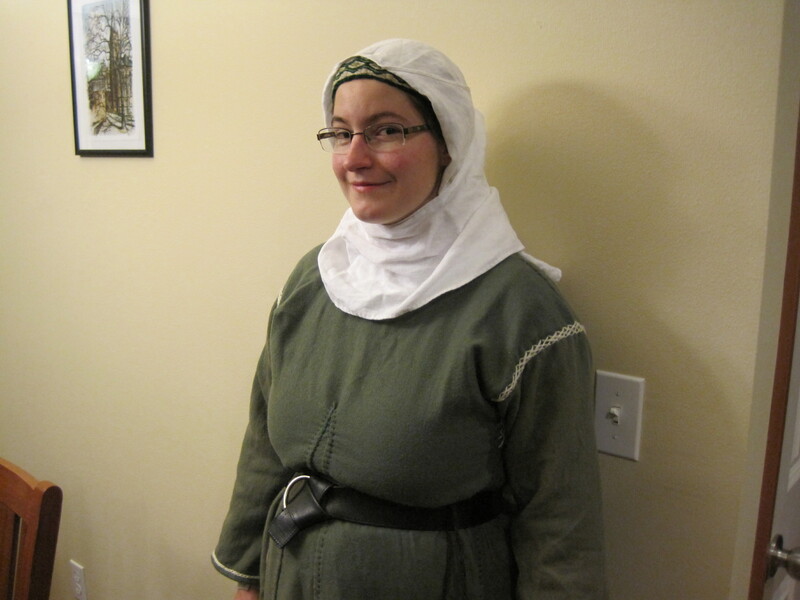 We made it our goal while there to meet new people, since playing in the SCA is much more fun with friends than without, and we made several new friends from all three baronies present. We also enjoyed playing with our new equipment at the thrown weapons range and archery range (a hatchet for my lord and a recurve bow for me!). 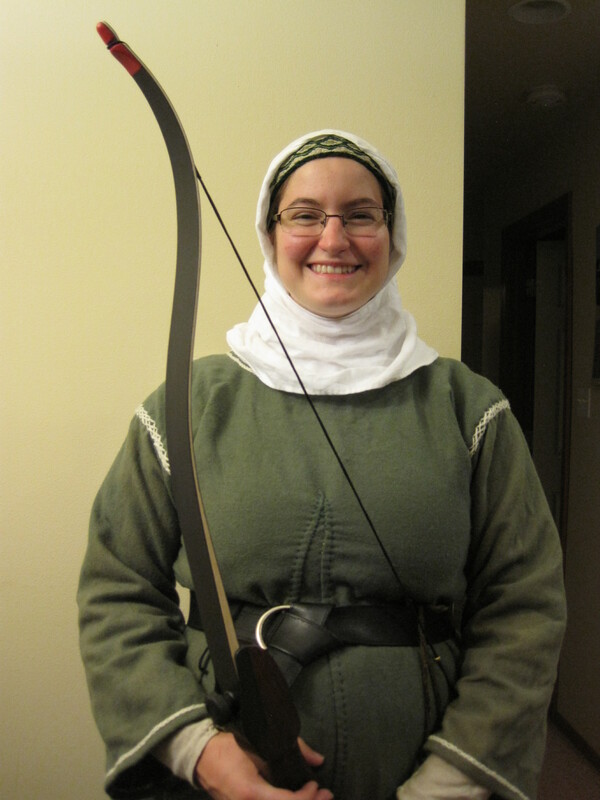 Going forward, I plan to practice more regularly with my bow to better my form and thus not require basic instruction every single time I attend an event. 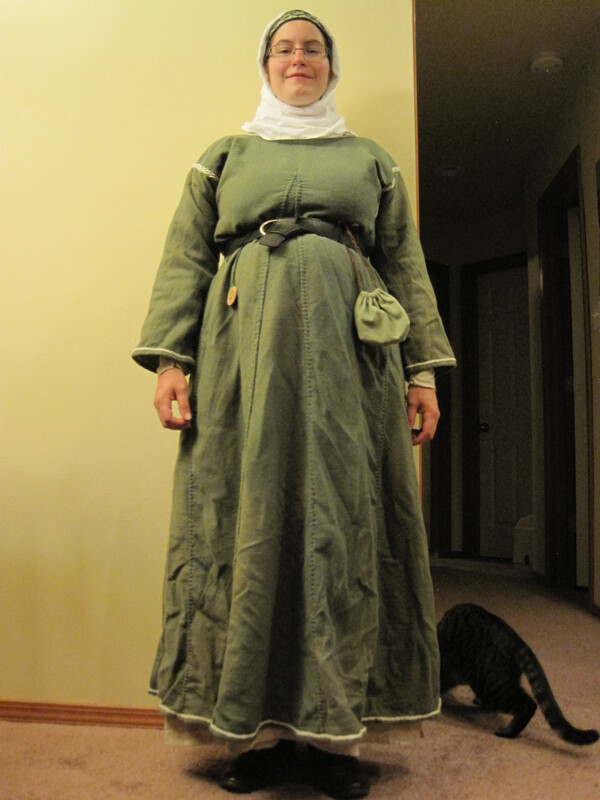 My wimple was a complete success. Not only did it stay on my head through dancing, archery, and much walking, but it provided useful protection from the sun. My lord is still red about the face and neck thanks to my sieve of a brain (which resulted in a lack of necessaries such as sunscreen and matches–though forgetting matches is a great strategy if you want to force yourself to meet new people). The only downside to my wimple is the fillet, which proved to be rather itchy. Since this one is made of acrylic yarn anyway, I shall feel no sorrow in speedily replacing it with a linen or silk fillet. I am so sold on wimples. Mine was comfortable, practical, simple enough to put on without a mirror, never got in the way, and never stabbed anyone with its pins. Besides all that, it looks awesome.